Are you looking for a alwayer in Dubai to go to court for the real estate property? Or you have a problem with developer and want to consult with a good lawyer who know arabic language and shariat law? Here is a list of Dubai lawyers compiled by British Embassy in UAE. You can describe arrogance using different definitions - but I like this one the most: In 2007, you could buy credit default protection on Dubai for four basis points. OK, let me break this down another way. Let's say you owned $10 million in debt guaranteed by the government of Dubai and wanted to insure it against the risk that the government wouldn't have enough money to pay you back. If you decided to buy a swap that would pay you $10 million should Dubai default, the cost would have been $4,000. Four grand to get 10 million in protection! And because it's a swap, you didn't even have to own $10 million in debt; you could just speculate that things would be worse than expected for Dubai and make a massive profit. Remember, in 2007, oil had hit $140 per barrel, sending gushers of money to the oil sheikhdoms in the Middle East -- measured in the billions of dollars per week. Dubai default? How?!? Here's what four basis points means: The market believed that Dubai would default one year out of 25,000, despite its economy being dependent on revenue from oil, a commodity that has at times suffered spectacularly volatile price swings. Dubai's rulers believed it, too. 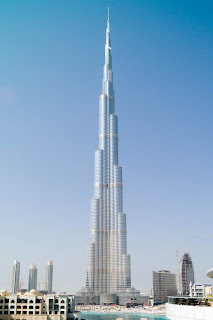 They built one new downtown -- now anchored by the Burj Khalifa, the world's tallest building at 2,400 feet. Then they started building another, with hundreds of thousands of square feet of office, hotel, retail, and residential space. Just inland, construction continues on Al Maktoum International Airport, which will, at 160-million-passenger annual capacity, be the world's largest, by far. Dubai accomplished its plan to become an elite tourist destination and financial center to perfection, except for two things. First, for an oil sheikdom, Dubai is blessedly devoid of oil. Sure, the United Arab Emirates, the country which Dubai became a part of in 1971, has tons of oil and gas, but it is concentrated in Abu Dhabi. In turn, Abu Dhabi has provided much of the financing for Dubai's building boom (sometimes quite resentfully so). The second problem is that sometimes entities with ultra-low borrowing costs start to believe that they are bulletproof. In 2009, Dubai World, Dubai's massive state-owned conglomerate, had to restructure $26 billion of its estimated $60 billion debt load. It was only a $10 billion rescue package from Abu Dhabi that spared Dubai World (and thus Dubai) from default. "Look around you," one slightly defensive Emirati exhorted me, "Dubai isn't in a crisis anywhere except in real estate." He was right. Dubai's ports and airplanes were full, its centuries-old position as a major trading center for the Middle East well and truly intact. Warehouse space in Dubai ranges from expensive to unavailable. But saying everything in Dubai is OK "outside of real estate" is sort of like saying that a flight was really great except for the part where it crashed. Dubai's torrid growth over the past 20 years has property values at its core. While Dubai's strengths as a trading and transportation hub as well as its popularity as a tourist destination remain unvarnished, collapsing property values may still prove to be the cause of the emirate's economic collapse. More Dubai debt comes due this year, and it's an open question whether the emirate will make good. You've seen pictures of partially built casinos in Las Vegas, abandoned houses in California, deserted neighborhoods in Florida. In Dubai, developers have stopped building islands. Just off the coast near the oldest part of Dubai stands a bridge to nowhere, the moorings of a multilane highway that may someday whisk people to the Palm Deira, which may someday be the world's largest man-made island. Lest you lament the loss of a giant island in the shape of a palm tree, the good/bad news is that Dubai has two more of them, the already completed Palm Jumeirah, and the completed but abandoned Palm Jebel Ali, plus an offshore (also largely mothballed) project to recreate the world. All told, an estimated $300 billion in planned real estate projects in Dubai lie in purgatory. Others have (and continue to) come online simply because the path of least resistance was to open and hope for the best rather than allow the massive sunk cost to founder. In the end, Dubai can't get out of its own way. 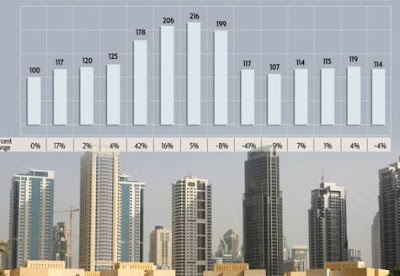 You see buildings by the dozen with cranes on top, beautiful graphics promising massive new developments, and meanwhile, according to Deutsche Bank, property values in the emirate have dropped 62% on average from their peak, with rents not far behind at a 54% decline. Even just thinking about Dubai's property market from a basic economic perspective, it's a bit much to ask investors to buy into existing projects or homes when there is the promise or the potential for an almost ceaseless amount of additional supply. In January, values dropped another 2%, with no real catalyst in sight to turn things around. Property developers in the United Arab Emirates have had their shares crushed over the past few years, with firms like Emaar, Deyaar Development, and Aldar trading at less than half their tangible book values. Book value for property companies is always a funny thing, because the value yield is deeply affected by liquidity. If you have a house in Dubai, you can probably sell it for close to going market rates without too much problem. But if you have thousands of square feet of office space, or hundreds of houses, or acres and acres of land, you can't flood the market and liquidate them at once. You'll never get anywhere close to the cash value that the market says these combined units are worth. This is Dubai's big problem, which makes it Abu Dhabi's problem as well. Oil and gas revenues in the UAE are skyrocketing once again, which gives the country on the whole a bit of protection. But at the end of the day, the rulers in Abu Dhabi in particular may have to decide whether it's better to throw good money after bad and guarantee Dubai's debts, or to let the system wash clean by letting bad investments run their course. I predict the former. Not only would a Dubai default be extremely painful for Abu Dhabi, but Abu Dhabi, which has occasionally displayed public displeasure at its upstart neighbor, may see it as an opportunity to bring Dubai to heel. "You'd think this place is paradise, turns out lots of people who come here to live don't like it that much." My friend was right, Dubai seems downright unreal, a proud member of that small fraternity of cities where the superlative can seem downright commonplace: Las Vegas, Orlando, Singapore, Dubai, Shanghai. It's rare that you meet an Emirati, some estimate fewer than 10% of the people in the UAE are natives. Dubai is Arab. It is an Islamic society, but long experience as a global trade center has created a sense of tolerance greater than elsewhere in the Middle East. And while Dubai has an extremely active, decadent nightlife, there are constant reminders (including the ferocious cost of alcohol!) that this is no go-along-to-get-along society. There is no path to citizenship for foreign workers living in the UAE. Further, the government practices an overt form of discrimination. The amount of pay a worker will receive for a job is directly tied to his nationality of origin: Indians earn less than Egyptians, who earn less than Europeans. And Dubai is certainly a young person's realm -- foreign retirees are much less welcome to remain in the country than the actively employed. The end result is that many people's relationships with their adopted home are more transactional than emotional, something that author Christopher Davidson refers to as "rentier pathology." It's easy to love Dubai; it's truly a magnificent city. But talk to people who spend lots of time here and you begin to hear a refrain: Dubai's polyglot nature leaves it culturally rudderless, it's difficult to meet Emiratis, the city's great desire to reinvent itself on an ever-grander scale comes at a cost of bulldozing its past. (Unexpected observation: I asked several Western expats who lived in Dubai which place in the Middle East they enjoyed the most. 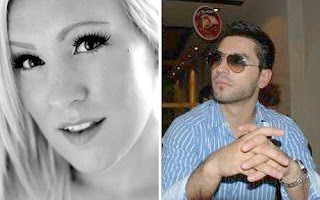 The majority said Saudi Arabia, the reason being that it was a place where they could most easily interact with locals. I'm not making this up). I spent my last evening in Dubai with an old college friend who expressed ambivalence at raising his family in a place where the greatest landmarks were primarily shopping centers. He's been in Dubai for nearly 20 years and clearly loves his life there, the fact that in Dubai you truly feel like you are in the center of everything. Dubai's (and the UAE's) political situation is quite stable. The Emir is genuinely beloved and admired for having wrought such an economic marvel out of so little. But the financial condition of the city is an open question, simply because the property overhang is just so huge. Dubai is a miracle, a place that has taken its best attributes (location, location, location ... and the weather) and maximized their importance. It has won the battle over much larger, better-heeled cities in the region to become the economic and commercial center, the Singapore of the Middle East. But what happens if its financial crisis overwhelms it? Dubai cannot manage its debt load without either a miracle or a benefactor, or both. Given the unrest throughout the Middle East, it's quite possible that neither will be forthcoming. What then? Do you know what are the best penny stocks to invest ? Will the stocks continue to drop? What are the good stock to buy in a short-term? Is it better to buy franchise or start own business? Prices for UAE property came down again in the last quarter at an average of 4 per cent, with villas performing the strongest, according to Colliers International House Price Index, suggesting a trend for the remainder of the year. "We anticipate a further slowdown and we have an ongoing concern of the new supply entering the market, which will further impede recovery," said Ian Albert, regional director, Colliers International. Another 33,000 units expected to come online by year end are the main reason to be less optimistic about the market despite stabilising since the steep high and subsequent drop of 2008 and 2009. However, some of the supply could be further delayed into 2011, but current occupancy figures suggest that there is enough on the market as it is. "There are already more than 340,000 residential properties in Dubai with an average occupancy rate of 87 per cent, with further declines anticipated. The market simply cannot absorb the additional supply unless the population grows and/or the release of stock is slowed down," Albert said. House prices are back to the earlier parts of 2007 yet, according to the Colliers Index, house price values overall still enjoyed a 7 per cent increase when comparing the second quarter of last year with the current one. The index is based on statistics of lenders transactional prices and sets the blended average house price for the second quarter at about Dh1,014 per square foot. Villas fared better than apartments, comparing this quarter to the first of this year. The former decreased by only 3 per cent, whilst the latter's prices fell 5 per cent. Interestingly, townhouses took the biggest hit of an 8 per cent price reduction. "The reason why townhouses have taken a larger hit than villas is simply because as the market corrected, many families upgraded to villas as more became available and affordable," said Tom Bunker, Investment Sales Consultant, Better Homes. Reason he says, villas are typically larger and in most cases have a half decent back yard, sometimes absent in townhouses. "Many of the townhouse communities are a little more out of the way," he added. Villas also trumped on the number of transactions with 49 per cent of the total, followed by apartments with 34 per cent and the 17 per cent remaining going to townhouses. Interestingly, buyers seem to spot value, the number of transactions has been 15 per cent higher this second quarter than in 2009's. Popular villa communities are in the Emirates Living District thanks to the quick and easy access to Shaikh Zayed Road and beyond, said Bunker. The favourite within is The Lakes, reckons Kim Robinson, residential sales and leasing manager, Cluttons. "The Lakes is an upgrade to The Springs. Prices dropped so much that families who are looking for space, better feel and facilities can now afford The Lakes independent villas. We recently sold one upgraded to a five-bed for Dh3.6 million net," she detailed. Others in vogue are the Montgomery Maisonettes, luxury townhouse type. The average occupancy rate in Dubai's existing 340,000 residential properties is 87 per cent and is expected to decline, according to Colliers. With rents at half of what they were in 2008 the lack of return on investment is further subduing buyer's appetite, Albert said. -Dubai property prices fell 4% during the second quarter of 2010, compared with the first three months of the year, the first quarter-on-quarter contraction in 12 months, U.K.-based real-estate consultancy Colliers International said Sunday. Despite the second quarter slide, Colliers said its quarterly price index showed a 7% increase in overall house price values compared with the second quarter of 2009. The average price of property slipped to 1,014 U.A.E. dirhams ($276) per square foot in the second quarter of 2010, compared with AED1,061 in the first quarter, Colliers said in an emailed statement. The real-estate consultancy warned that forthcoming housing supply and declining rental incomes are likely to put downward pressure on Dubai house prices moving forward. "We anticipate a further slowdown and we have an ongoing concern of the new supply entering the market, which will further impede recovery," said Ian Albert, regional director at Colliers International. Dubai's property market has been hit hard by the global financial crisis and prices have slumped close to 50% since their peak in 2008 while many of the emirate's most ambitious projects are on hold. Colliers said it expects around 33,000 units to be released onto the Dubai market by the end of 2010, down from its earlier estimate of 41,000 following project delays or rescheduling. However, given Dubai's history so far, a large number of these units may not be delivered on time and may cross over into 2011, it added. "There are already more than 340,000 residential properties in Dubai with an average occupancy rate of 87%, with further declines anticipated. The market simply cannot absorb the additional supply unless the population grows and/or the release of stock is slowed down," said Collier's Albert. Compounding the situation are dwindling rents in the emirate with Dubai's overbuilt residential market contributing to more than a 50% decline in average rental rates since 2008, discouraging ownership and further dampening demand, said Colliers. May 17 (Bloomberg) -- Property prices in centrally located areas in Dubai may be reaching a “floor” after values dropped by 45 percent, Bank of America Merrill Lynch said. “We see an emerging floor for prime assets, particularly in the retail sector, which has the smallest supply pipeline,” Dubai-based analysts including Karthik Sankaran and Abdelrali El Jattari wrote in a note to investors today. Growth in retail, trade and tourism should resume, helping the real-estate industry, the analysts said. Dubai property projects stalled after the global credit crisis pushed up the cost of financing, prices plummeted and buyers defaulted on payments. The market’s collapse followed a construction boom that created thousands of homes just as demand began to evaporate. Average residential prices across the emirate may fall a further 15 percent this year, according to the bank. Abu Dhabi-based Aldar Properties PJSC is the Bank of Americai Merrill Lynch’s “preferred developer” because “substantial negativity is priced in.” The analysts reinstated coverage of Emaar Properties PJSC, which opened the largest skyscraper this year in Dubai, giving the company a “neutral rating” and a 12-month share price target of 4.4 dirhams. Emaar closed at 3.75 dirhams yesterday and Aldar at 3.77 dirhams. The completion of a “significant” number of new homes in Dubai later this year will put pressure on prices after they rose 2 percent in the first quarter, Colliers International said in a May 9 report. Nakheel PJSC, the Dubai World-owned property company seeking to restructure $10.5 billion of debt, restarted work on projects that have been put on hold, Al Bayan reported today, citing people it did not identify. May 9 (Bloomberg) -- The completion of a “significant” number of new homes in Dubai later year will further pressure prices that rose 2 percent in the first quarter, Colliers International said. Colliers, a global real-estate-services firm, estimates that 41,000 residential units will enter the market by the end of 2010, mostly in the low- to mid-income segments. 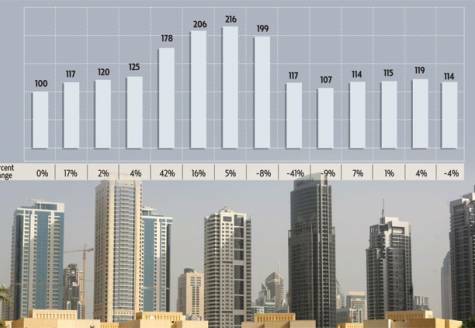 House prices in the first quarter were on par with 2007 levels, rising on average to 1,061 dirhams ($289) a square foot from 1,037 dirhams a year earlier, Colliers said in an e-mailed report today. “There will be significant oversupply in the market by the end of the year, so it is anticipated the index will experience fluctuations in value going forward,” Colliers’ regional Director Ian Albert said in the report. “Demand is not expected to match the growth in supply, creating downward pressure on property prices,” according to the document. Dubai’s property prices have slumped more than 50 percent since their peak in mid-2008 as the financial crisis forced companies to dismiss workers. The market’s collapse followed a construction boom that created thousands of homes just as demand began to evaporate. Apartment prices in the emirate gained 6 percent in the first quarter compared with the previous three months and villa prices rose 2 percent while the cost of townhouses was down 4 percent, Colliers’ house-price index showed. “Numerous” banks and mortgage providers increased the loan-to-value ratio to between 75 percent and 90 percent in the first quarter, according to Colliers. Some also lowered interest rates on mortgages to between 6.5 percent and 8.5 percent. “Banks remain selective in offering finance, providing it against specific projects, mainly completed or near completion, and only to borrowers who can meet the strict lending criteria adopted by most banks,” Colliers said in the report. The change of demand from speculative investors to end- users places more importance on the “liveability” aspect and there will be better demand and greater stability for projects that offer a “community lifestyle,” according to the report. If you have not heard the name of Peter Schiff, you are missing a lot. This is a great economic adviser (I do not want to use the word guru...) - and he explains complex things using very simple terms and definitions. I absolutely love Peter Schiff. He's astute, sound financial mind, and always right on. "Crash Proof" was written before the crash and Peter had explained exactly how the bubble was blowing up and how it was inevitably was going to burst, which it did. The updated version brings us into the modern age of disgusting deficits, unacceptable government spending, and horrendous regulation into the free market. Schiff predicts that government isn't making things better with all this additional spending and intrusion into the market and that we're not out of the woods--as some people are claiming--and that it's actually making things worse. He concludes with his solid foreign currency assets and commodities-centered investment strategies that will help you avoid the next crash (and the coming collapse of the dollar). If you had taken his advice in 2006, you'd be much better off today. The prices of real estate in Dubai are returning to pre-crisis levels and indicates a very good year for real estate investments in 2010, claims a leading industry report. The worst part of the economic meltdown is generally believed to be over, and investors are full of cheer and looking forward to 2010. Most of the investors in 2010 will be those who ensure that their assets are realistically priced, professionally managed, and will offer long-term stable liquidity, said a recent report by Jones LangLa Salle. The MENA region was the last to feel the pinch of global economic meltdown, with property prices falling up to 50 percent in few areas in the past year, but, its real estate market was the fastest to cope with the economic crunch. With the financial pressures beginning to ease, the sale activity is likely to pick-up marginally in 2010 and this will a psychological boost for investors, thereby increasing market confidence. The investors with sufficient cash too invest will benefit immensely, with the low sale prices, almost equivalent to the 2006 levels, said Matthew Green, Head of Research and Consultancy, CB Richard Ellis. The report mentions that investors are now happier with the state-of-the-market during recent months. This sunny optimism is primarily driven by the overall economic strength derived by hydrocarbon-based economies. Qatar, Saudi Arabia and Abu Dhabi property markets will be among the first to recover in the region, with stronger economic fundamentals and government initiatives. These markets will see greater increase in performance and pricing during the coming year. Dubai, in particular, is likely to grow at a steady pace of four to six percent per year until 2015. Investors are considering Dubai to be the regional leader in terms of city competitiveness and real estate infrastructure, says Brendan Coakley, Managing Director at Chesterton International. The success of Dubai in the past comes largely from its name being built as a city with good infrastructure. However, concerns still remain about the availability of capital for real estate purposes and supply-demand dynamics. The lack of liquidity and resentment on the part of few financial institutions to resume lending is proving to be a barrier for the Dubai Market. However, taking into account the huge volume of new stock either completed or in pipeline, and combined with minimal levels of demand, the supply-demand imbalance is the main issue for the future recovery of the market, Green said. Therefore, in future, there is increased need transparency and honesty on the part of developers, brokers and investors themselves. This is a live video from the opening ceremony of Burj Dubai (or Burj Khalifa as it is called now) - this is a ust to watch this week. The 828 metre (2,717 ft) supertall skyscraper in Dubai, United Arab Emirates, is being opened with much fanfare despite the doom and gloom that has surrounded the emirate's economy in recent weeks. Crews of cleaners today rushed to finalise preparations for the grand inauguration of the Burj Dubai, the tallest building in the world. With batteries of fireworks and an invited crowd of 6,000 guests, the rulers of the Gulf emirate will tonight attempt to convince the world that their financial troubles have been overstated with a lavish celebration of a glass and steel building that tapers almost a kilometre into the sky. Dubai's ruler, Sheikh Mohammed bin Rashid al-Maktoum, is expected to make a triumphal ascent of the spire-shaped tower which rises over 800m from the Arabian desert. He will announce the exact height this evening in a move intended to draw a line under the country's financial crisis, which has left a trail of outstanding creditors. "Crises come and go, and cities move on," said Mohamed Alabbar, chairman of Emaar Properties, the state-owned developer of the building. "You have to move on. Because if you stop taking decisions, you stop growing." With swimming pools on floors 43 and 76 and plans for the world's highest mosque on the 158th floor, the $1bn "superscraper" dwarfs both the world's previous tallest building, the 508m tall tower 101 in Taipei, and the 629m KVLY-TV mast in North Dakota, the tallest man-made structure. It is so high, the temperature is said to be 10C cooler at the zenith than at the base. But with many investors in the building's 1,044 apartments already facing losses after property prices in Dubai slumped, the Burj's owners are struggling to present their architectural achievement as anything but a pyrrhic victory. The offices and most of the flats are still an estimated two months from completion and the emirate's neighbours in Saudi Arabia and Abu Dhabi, which provided Dubai with a £15bn bailout last year, are also understood to be unimpressed at the ostentation of the building. The fountain outside cost a reported £133m and the 160 room hotel was designed by fashion designer Georgio Armani and boasts a nightclub, two restaurants and a spa. Meanwhile, labourers on the project, including many immigrants from Pakistan, India and Bangladesh, earned low wages. Skilled carpenters took home just £4.34 a day and labourers, £2.84. Security is expected to be tight. Local newspapers quoted Major General Mohammed Eid al-Mansouri, head of the protective security and emergency unit for Dubai police, saying more than 1,000 security personnel, including plainclothes police and sharpshooters, will be deployed to secure the site for the opening. But even by the standards of an emirate which has created miles more beach front by building vast islands from millions of tonnes of sand in the shapes of palms, the tower stands out as Dubai's most remarkable achievement. Around 12,000 people are expected to live and work in the tower which is part of a 500-acre development known as "downtown" Burj Dubai. Alabbar said Burj Dubai was "another demonstration of Dubai's ability to achieve what few people thought possible". "The tower is a global icon," he said. "It represents the determination and optimism of Dubai as a truly world city. It is a powerful symbol for the entire Arab world." Are you wondering where 60 bn borrowed by Dubai World was spent? Here is a video that will show you the bright ideas that have been turned into real things by Dubia World. Typical was the case of British developer Arthur Fitzwilliam, an affable 58-year-old polo fan from London. He had lived in Dubai for two decades, dabbling in real estate and other ventures. In 2004, he inked a deal to develop a 14.5 million-square-foot plot of desert acquired from a government-controlled company. The Plantation Equestrian and Polo Club would have air-conditioned stables for 800 horses, four polo fields, facilities to host horse shows and a five-star hotel. Mr. Fitzwilliam sought partners to help finance the project. A British banker agreed to provide financing, in exchange for a 30% stake, Mr. Fitzwilliam said in an interview. But in June 2008, authorities detained Mr. Fitzwilliam, the banker and one other. Then in September, Dubai Islamic Bank, or DIB, foreclosed on the land for the project. It also seized more than 100 polo ponies, Mr. Fitzwilliam said. For almost a year, he sat in jail before charges were filed. In March 2009, authorities charged seven men with scheming to defraud DIB, according to a bill of indictment filed by Dubai's public prosecutors. Mr. Fitzwilliam was accused of aiding the scheme. Last month, he was transferred to a Dubai hospital to undergo tests for cancer. Four Dubai police officers stood guard outside his room. Mr. Fitzwilliam denied any wrongdoing, as did the British banker he was working with. "I want a fair trial, and I'm prepared to go with the system," he says, shackled to his hospital bed. "Anyone who knows the case knows I'm not guilty." A spokesman for the Dubai prosecutor's office didn't respond to requests for comment. Amid the uncertainty surrounding the arrests, the crisis roiling the rest of the world was catching up with Dubai. When global credit markets froze up in late 2008, international investors stopped buying Dubai property. Some who had already bought stopped making installment payments. Nakheel and others shed staff and scrapped or delayed dozens of projects. Last February, the troubles touched Ms. Chana's plan for a new home in Dubai. Nakheel halted work on the Palm Jebel Ali. Though dredging had been done, little construction had. Ms. Chana says she has sunk about $550,000 into her still-unfinished home. Earlier this year, she flew to Dubai to try to salvage the investment. She is living in a hotel-apartment with her daughter, helping to organize other investors and petition Nakheel for rebates. "I just won't let this drop," she says. "It's become my obsession." In October, Nakheel proposed that Jebel Ali investors transfer their contracts to property elsewhere that is already finished or close to it. Simon Murphy bought a $240,000 ground-floor apartment in the Palm Jumeirah in 2002 and moved in five years later. He is now a "resident representative" to Nakheel, like being part of a homeowners board. He says that in recent weeks, Nakheel has cut back on maintenance, including tree trimming. Since Dubai's debt-standstill announcement, Mr. Murphy says, many apartment residents have stopped paying management fees, typically around $700 a month. Nakheel declined to comment. "Most people fear that their money will go into the bottomless pit of Nakheel debt," Mr. Murphy says.